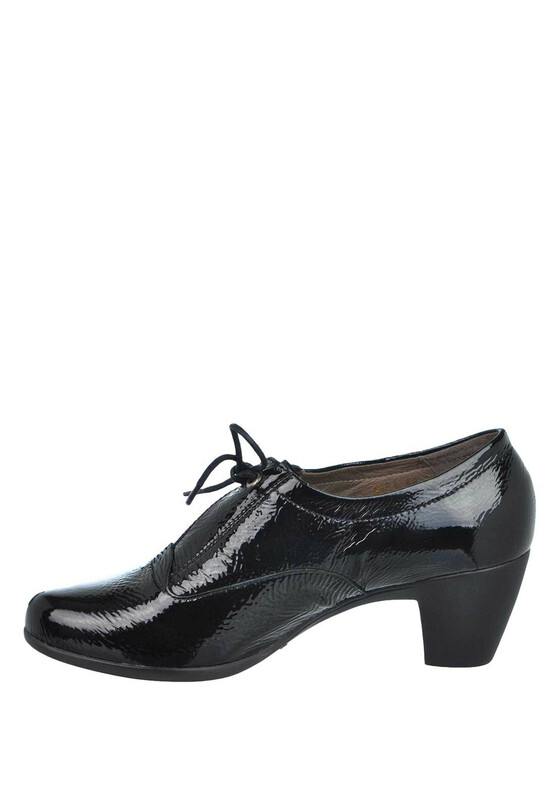 Look pretty in patent with these sophisticated slip on heeled shoes from Wonders in navy. 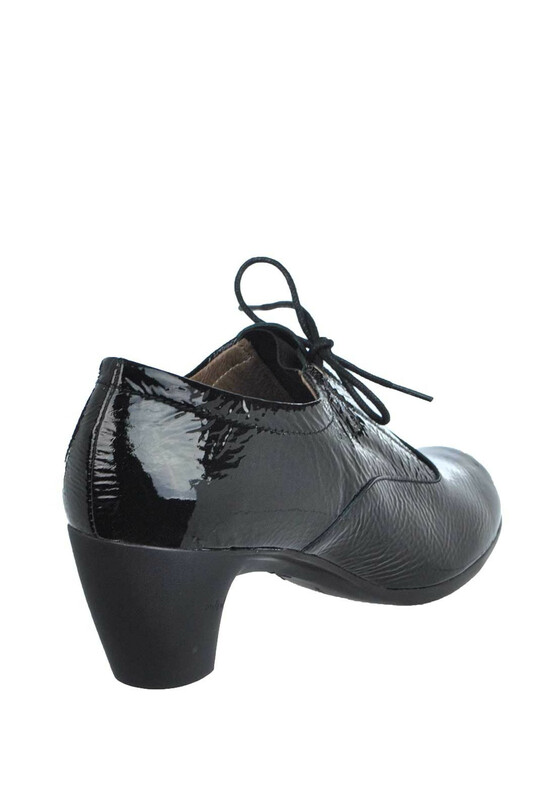 This smart pair have a wrinkled style with elasticated gusset and lace detail on the front and are finished with a chunky block heel. A smart and comfortable choice for work or play.